Before I get started on the details of this giveaway I wanted to share some great news with you guys. If you follow me on Twitter you know that my sister is expecting any day now.. What you don’t know that my cousin (who is as close to me as a sister) is also expecting her first baby in August. Just when I’m done with one baby shower I find myself planning yet another one. I have been to all the usual sites and then I came across this one for Kids bedding, cribs and all the nursery furniture you need for a newborn. As many of you know I'm planning on moving as soon as I find a suitable apartment within my means and I will definitely be getting a set of these for myself as soon as I have myself situated in a kitchen bigger than a pantry. This contest will run from today until March 21 and all you have to do is leave a comment, if you follow me on Twitter go ahead and Tweet about the giveaway leaving the hashtag #PaulaDeenGiveaway for an extra entry. Limit 1 comment and 1 tweet per day. Wow, if I win this mixing bowl set, does it come with hands? If not, I'll have to pass and wish And give you my phone number...I'm coming over. Congrats on your other news! "wish all who enter the very best of luck"
Awesome giveaway! I need a set of mixing bowls! 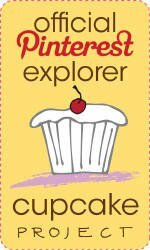 I would love to be entered to win! 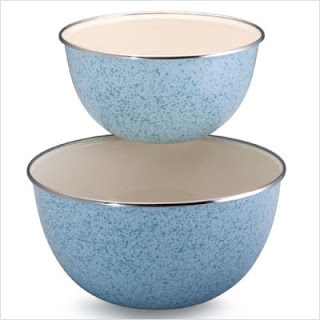 I love the color of these mixing bowls. I like bright kitchen accessories. Yes, I just called them accessories, lol. I would love to win. Thank you for hosting this giveaway! The other day my husband was making a salad in one of our mixing plastic mixing bowls and broke it! I don't know how you break a bowl while making a salad, but I never put anything past my husband heheh. Anyway, it would be great to win a pair that is more sturdy that the (obviously) flimsy ones we have now! Thanks for the opportunity! Another kitchen item to cast its spell on me. Those are really nice, i'd love a set. One Year. One Billion Bags.